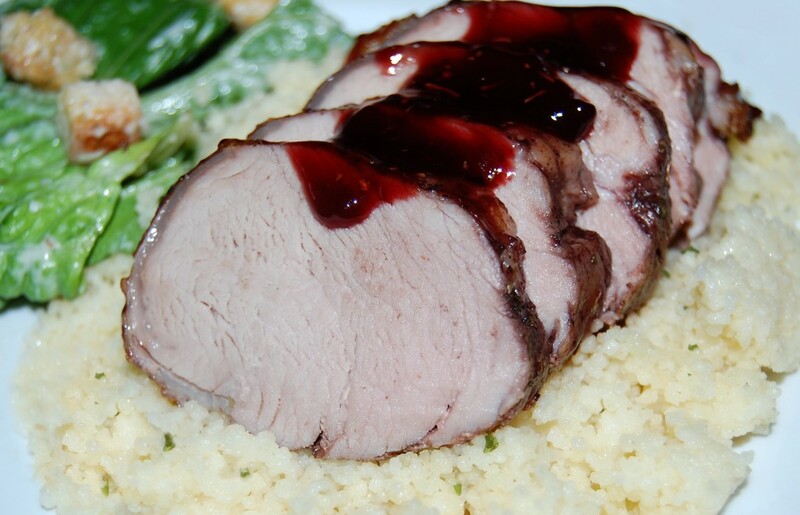 Grilled pork tenderloin, drizzled with blackberry sauce, served over parmesan couscous, with a crisp green side salad. Spray grill grates with non-stick cooking spray. Heat grill to 350 to 375 degrees. Generously season tenderloin with salt and pepper. Mix blackberry jam, barbecue sauce and Italian seasoning in a microwave-safe bowl. Microwave on HIGH 30 to 40 seconds; stir to blend. Grill pork, turning occasionally, 16 to 20 minutes (or until thermometer reads 160°). Baste liberally with 1/4 cup blackberry barbecue sauce during last 5 minutes of cooking. 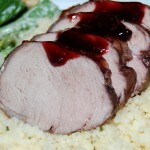 Transfer tenderloin to platter, tent with foil and allow to rest for 5 minutes before slicing. Serve pork over wild rice, drizzled with additional sauce and sprinkled with chopped parsley, if desired.